Hardcover: W. W. Norton & Co., 2017. 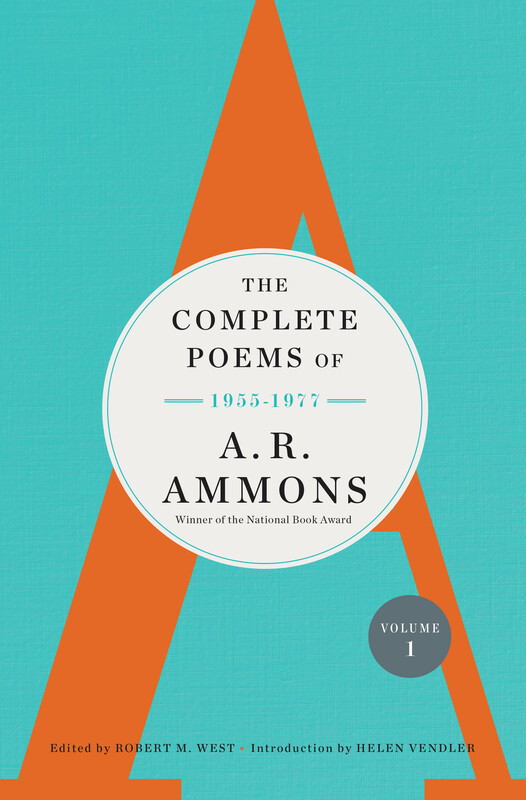 The Complete Poems of A. R. Ammons, Volume I presents the first half of Archie Randolph Ammons’s long career, including the complete texts of his three book-length poems from that period: the verse diary Tape for the Turn of the Year, the Bollingen Prize–winning Sphere: The Form of a Motion, and the daring kaleidoscope of The Snow Poems, which late in life Ammons said of all his long poems was his favorite. Editor Robert M. West established the text of each poem after careful consideration of Ammons’s manuscripts and other materials. His endnotes detail the poems’ composition and publication histories, and also helpfully annotate references made within the poems. Celebrated poetry critic Helen Vendler’s introduction both humanizes Ammons and traces the growth of his stature as a major poet.